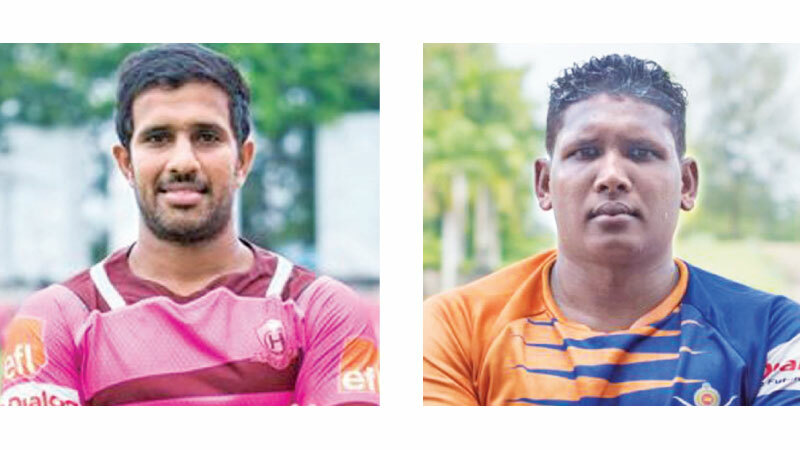 Havelock Sports Club will have the upper hand against Army sports club in their Dialog ‘A’ Division League second round rugby match at Air Force grounds in Ratmalana today. Kick of will be at 4.00 pm. Army forwards along with their speedy three quarters gave a wonderful performance against CR and FC in their last outing where they held them to a stunning 24 all draw, hence the Soldiers will have to come up with a similar performance if they hope to overcome the high riding Havies in their own den at Ratmalana. Meanwhile the lads from Havelock Park won against Air Force Sports Club 31-25 after a superb performance where their forwards had an outstanding game in their first round game played at Air Force grounds in Ratmalana in their last outing and if they play to their full potential then another terrific tussle for supremacy can be expected today and it won’t be a surprise if Army Sports Club the giant killers pull off a shock win against the Havies. Zayan Sabar, Azmir Fajudeen, Liston Flatney, Sharo Fernando, Umesh Madushan, Senal Deelaka, Shawkat Lahir, Lasindu Karunathilake, Vimukthi Rahula, Niroshan Fernando (Capt), Chamara Dabare, Dinuk Amarasinghe, Iranga Ariyapala, Sashan Mohamed, Reeza Mubarak, Head Coach: Sanath Martis.